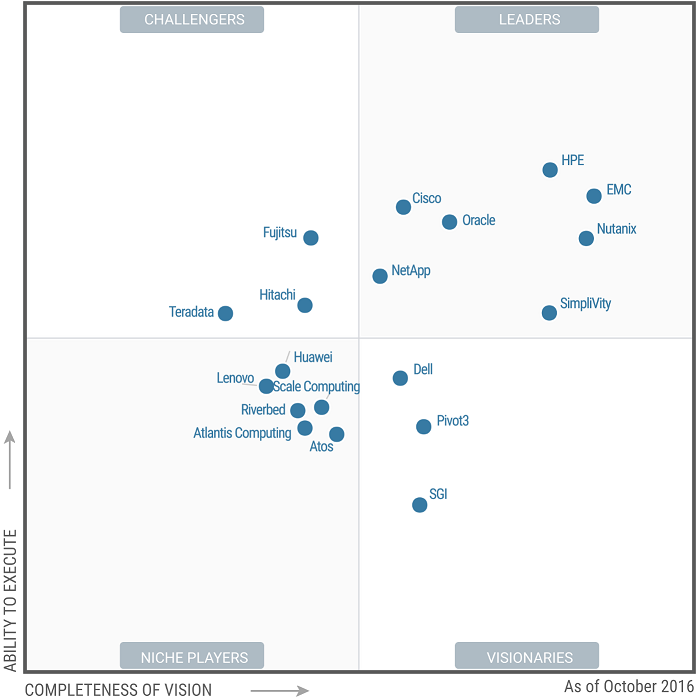 Nutanix has been recognized by Gartner as a Leader in 2018 inaugural Gartner Magic Quadrant for Hyperconverged Systems. 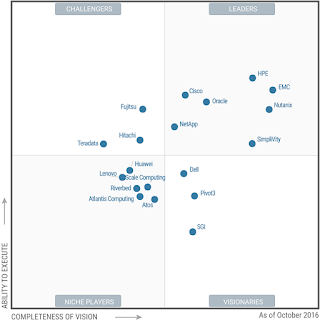 Nutanix believes its placement in the Leaders quadrant is a strong validation of its leadership in the market it pioneered and in its vision to become the next generation operating system for the enterprise cloud. My Experience Attending Nutanix .Next Europe 2017! I was lucky enough to attend Nutanix .Next Europe 2017 in Nice, France. Really, it went beyond my expectations as a technology conference. Starting with the name of the venue “Acropolis Conference Center”, Opening Keynote with more than 2,200+ Cloud Builders, Recognizing of NutanixNTC, Live Demo by Steven Poitras (Writer of The Nutanix Bible) followed by very inspirational presentation by Fabien Cousteau & Rob Lloyd (CEO Hyperloop One), Ending with an remarkable closing keynote by Mick Ebeling “Founder NOT IMPOSSIBLE”. 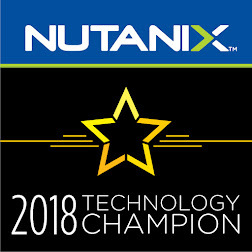 Also, witness the passion for the technology & innovation between all attendees, including Nutanix Top Management, Staff, Sponsors and Customers. Or, register for .Next On-Tour to hear the highlights and hottest announcements from the .NEXT Conference. Nutanix X-Ray is an automated testing framework and benchmarking application for enterprise grade datacenters. With X-Ray, teams can simulate how applications are impacted during common events and scenarios, including system failures, spikes in application use, software upgrades, and more. Run multiple workloads in the same environment, while ensuring that heavy demand of one application does not negatively impact performance for other workloads. Availability X-Ray tests how a hyperconverged solution tolerates a node failure during a workload. Consistent performance and stability test the system's availability and the management fabric's failure tolerance. Realistic Performance X-Ray tests the system's solution to handle mixed workloads. The solution can include running databases on a single node, simultaneously running VDI workloads on multiple nodes, mixing VM snapshot, VDI boot storms, VM provisioning, and multiple workloads or stability over an extended period of time. Feature Set Ideal features include clones for VM provisioning, deduplication, compression, VAAI support, native VMlevel replication, Cloud Connect, 1-click software and hypervisor upgrades, BIOS/drives, compatibility with multiple hypervisors and the ability to migrate and convert between hypervisors with the same solution. Data Integrity X-Ray tests the data's safety during power outages or component failures. Nutanix Xi Cloud Services provide a native extension to the Nutanix Enterprise Cloud Platform, delivering an integrated public cloud environment that can be instantly provisioned and automatically configured. Xi Cloud Services will be operated by Nutanix and delivered from datacenters in the U.S., located in Northern Virginia and San Francisco Bay Area. We have also teamed up with Google to Fuse Cloud Environments for Enterprise Apps and deliver Xi from Google Cloud Platform datacenters. The first Xi Cloud Service that will be available is Xi Disaster Recovery (DR), a turnkey and integrated service that rapidly and intelligently protects the applications and data in your Nutanix environment without the need to purchase and maintain a separate infrastructure stack. Customers will be able to simply select VMs for protection, choose one of several subscription plans and setup protection – all from within Prism! The VMs will then be replicated in the background, ready to be recovered in the public environment in the event of a site failure. 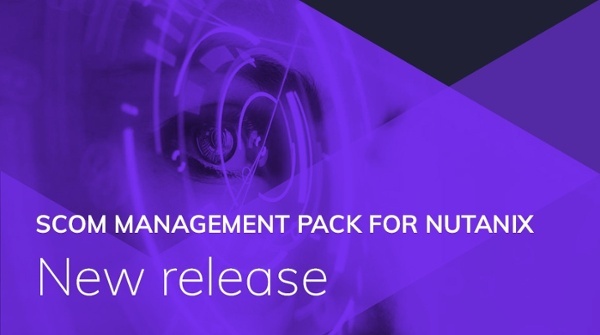 Nutanix Calm provides application automation and lifecycle management for the Nutanix and public clouds. Calm orchestrates the provisioning, scaling, and management of applications across multiple environments to make the entire IT infrastructure more agile and application-centric. Calm defines applications via simple blueprints that administrators can easily create and instantly deploy. IT managers can either utilize pre-integrated blueprints or create their own, then publish them to the Nutanix Marketplace. Organizations can now fully automate hybrid cloud architecture deployments, scaling both multitiered and distributed applications across different cloud environments, including AWS. Calm’s policy-based governance and reporting show the overall utilization and true cost of your public cloud consumption at a glance so you can base application provisioning decisions on business needs and budget requirements. Comtrade SCOM MP for Nutanix V 2.0 designed to integrate end-to-end service monitoring of Nutanix' award-winning Enterprise Could platform into Microsoft System Center Operations Manager (SCOM). 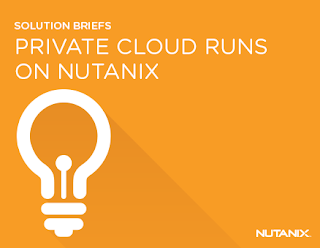 Optimize the performance of Microsoft Exchange Server and SQL Server on Nutanix. Troubleshoot Microsoft SharePoint Server issues faster, more accurately. An insightful lens into your bare-metal server health. 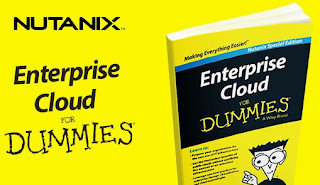 Free 1-year subscription to Comtrade OMS Solution for Nutanix. Nutanix announced that its Enterprise Cloud Platform will be available as a term-based license for deployment of Hewlett Packard Enterprises (HPE) ProLiant rackmount servers and Cisco UCS B-series blade servers, adding to previously announced support for the Cisco UCS C-series platform. 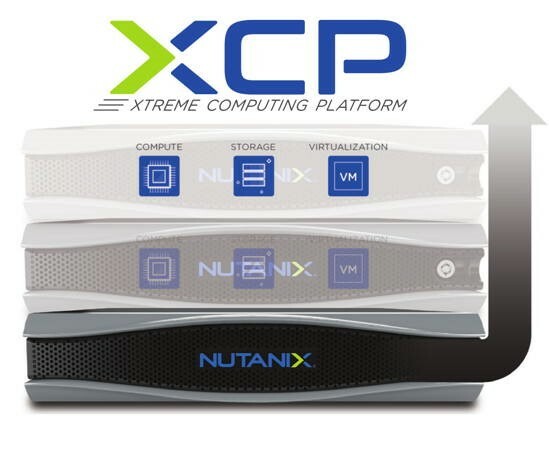 These new supported hardware options will broaden the deployment of Nutanix beyond newly purchased appliances from the company or its global OEM partners, Dell and Lenovo, to the millions of HPE ProLiant and Cisco UCS servers already in use in corporate and cloud data centers. 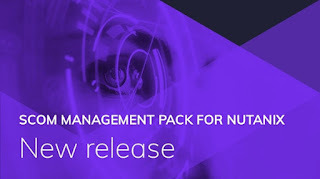 Customers will enjoy the optionality of deploying newly licensed Nutanix software-only entitlements on qualified HPE or Cisco servers while also retaining the option to transfer their software-only entitlements to another qualified third-party platform, including additional x86 servers anticipated to be validated at a later date. Nutanix plans to make its Enterprise Cloud Platform software available for new and existing HPE ProLiant servers by Q4 calendar 2017. Specific models and supported server configurations will be announced at the time of availability. Nutanix Enterprise Cloud Platform software for Cisco UCS B-Series Blades is available now as a tech preview with general availability this quarter. Together with Citrix, Nutanix will be adding support for industry leading Citrix applications including XenApp, XenDesktop, NetScaler VPX and NetScaler running on Citrix XenServer on the Nutanix Enterprise Cloud Platform. Starting with the Nutanix Asterix release, XenServer customers will be able to run XenServer 7 as a tech preview on the Nutanix solution. Test drive Nutanix enables you to try Community Edition within minutes, with no hardware, no setup, and no cost for two hours. Community Edition is a 100% software solution enabling technology enthusiasts to easily evaluate the latest enterprise cloud platform at zero cost. Users can now experience the same Nutanix hyperconverged technology that powers the datacenters of thousands of leading enterprises around the world. Nutanix announced the expansion of its relationship with Microsoft Corp. through collaboration on a jointly-engineered integrated system designed to provide customers a comprehensive hybrid cloud offering. The new offering brings together the Microsoft Cloud Platform System (CPS) Standard and Nutanix enterprise cloud platform to deliver a Microsoft Azure-consistent environment within an enterprise datacenter. The system is ideal for enterprise applications like Microsoft SQL Server, Microsoft Exchange, Microsoft SharePoint, and Microsoft Dynamics, which require high performance and availability. 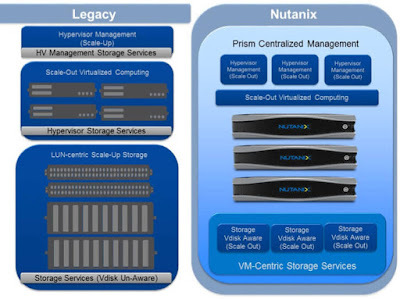 After first disrupting the legacy SAN and NAS architecture of the virtualized datacenter, Nutanix is now transforming virtualization itself. 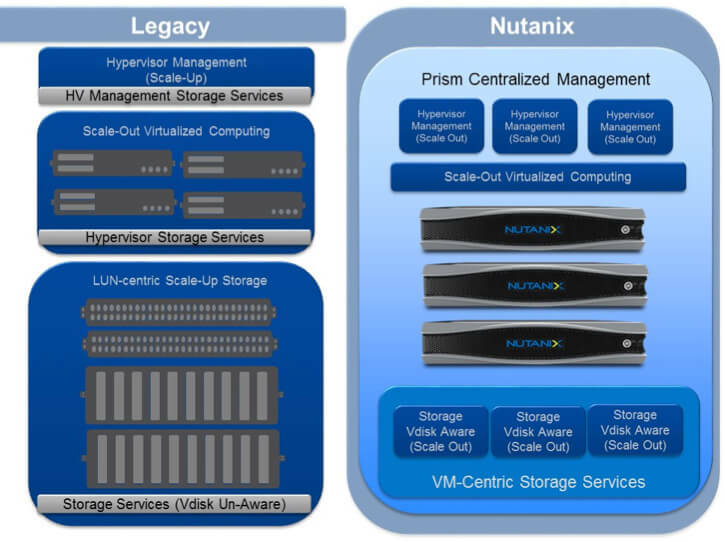 Nutanix’s software-defined infrastructure enables a new approach to the stand-alone hypervisor model, already 12+ years old. Community Edition can now be deployed as an on-demand service running on AWS or Google Cloud Platform. Community Edition on-demand is enabled via technology integration with Ravello Systems, the leading provider of nested virtualization solutions. With a flexible, time-based pricing model that costs approximately $1 per hour.